Asthma is an allergic condition and therefore it is crucial for the patient to be aware about the food items which are good or bad for him. 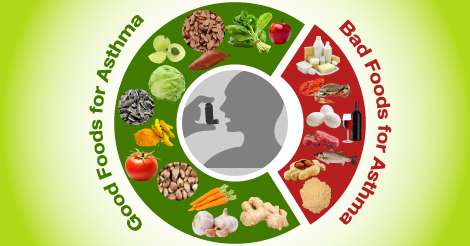 While the good foods for asthma helps in relieving asthmatic symptoms and prevent asthmatic attacks; the bad foods can induce an allergic reaction. Here is the list of both types of foods. The list is specially formatted according to Indian food habits.